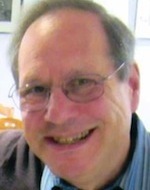 Editor’s Note: In Act I, Opera author Robert Cannon gave us a primer on the powerful tools imparted by opera’s unique combination of drama and music. In Act II, he took us deeper into the art form, by discussing how and why operas differ. After all, by understanding not only individual elements, but the world of the composer and the contemporary audience, one can have a better grasp of the profound pleasures of opera. His series concludes with a look at more modern operas, starting in the nineteenth century. As always, the updated Spotify playlist is available here. The chorus in each of these operas is quite remote. They stand back and comment. At the start of Act II of La sonnambula they enter, sing for quite a while – with lovely melodies – and then leave before the real action gets under way. For the so-called “Nationalists” composers, above all in Russia and the former Czechoslovakia, the people become increasingly important. In Glinka’s A Life for the Tsar, for the first time the hero is a peasant who sacrifices his life for the new Tsar. In addition ordinary people of the village and their characteristic singing play a major role – just listen to the opening chorus of Act I. 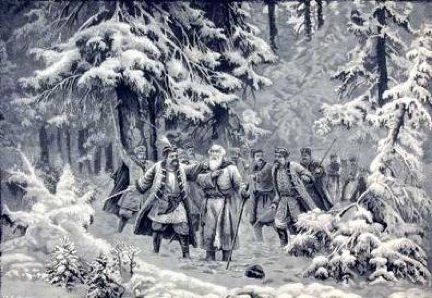 For sheer musical drama, beauty and psychological exploration, listen to Ivan’s famous Act IV scene “They sense the truth.” In this he reconciles himself to the fact that when the Poles realise that he has deliberately misled them into the forest, they will kill him. He comes to terms with this and prays for his daughter – and Russia. It is, in many ways, the first great authentic expression of Russian opera. Although it is essentially conservative in its politics – unlike Musorgsky’s later Boris Godunov – the depiction of the people and their culture is revolutionary. At the opening Act III, Vanya’s plaintive “When they killed the mother” and Antonida’s later “I am not grieving over that, dear friend” are original melodies, but they breathe the air of traditional Russia and introduce a new dimension into opera – both its music and its subjects. For Puccini the world was dominated by love and the tears that it so often resulted in. Making people weep – able to acknowledge this truth – lay at the heart of his work. In Il trittico – The triptych, which premiered in New York, he achieves this to perfection. He allowed himself the luxury of bringing together three one-act operas, the shocking love-murder Il tabarro –The cloak, the engrossing emotions of loss and despair of Suor Angelica, and the comedic fulfilment of Gianni Schicchi whith its rapturous “O mio babbino caro – O my beloved father.” In these operas Puccini experimented with new kinds of harmony and used the three very different kinds of ethos to explore emotion in new ways. It allowed him to involve his audience in three very different ways, so that the overall experience of Il trittico is quite exhausting –not because of the length, but because you are required to become engrossed and response very fully in three completely different ways. Il tabarro is the most genuinely verismo opera that Puccini wrote – closest to the kind of thing we associate with Mascagni’s Cavalleria Rusitana or Leoncavallo’s Pagliacci. The third opera, Gianni Schicchi presents us with a mixture of romance and comedy. In both the parameters of audience involvement are fairly clear. It is the central part of the “triptych” that is most challenging – although also the most straightforward. 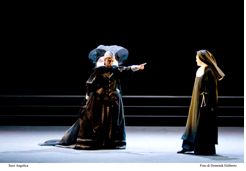 It is, or appears to be, a sentimental piece: Suor Angelica, placed in a convent for having borne an illegitimate child, is told by her icy aunt, the Princess, that the child has died. She resolves to die to join her child and mixes a potion of herbs – before suddenly realising that she has committed a mortal sin. Suddenly the sky opens and she has a vision of the Virgin who steps forward, holding the child, to welcome Suor Angelica into her arms. But the music! Just listen to the Princess’s steely-cold report of the child’s death in “Di frequent la sera – Often in the evening” and the following “Or son due anni – It is two years ago now.” It is enough to freeze the blood in your veins. And then Suor Angelica’s heart-breaking “Senza mamma, o bimbo to sei morto – Without mamma, o child you died.” No parent who has even contemplated the death of a child can fail to live through the full panoply of emotions in this extraordinary rich and yet simple aria. Hugely sophisticated orchestration filing out a sweet, lovely melody, and together proclaiming the truth of the world in a way that allows listeners to live it for themselves. 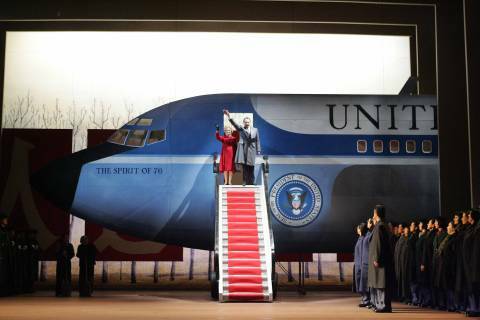 Finally an opera of our time, about our time: Nixon in China. This is an extraordinary work, often labelled “minimalist” but in fact full of wonderful and exciting music – there is nothing to match the Act I sequence “Landing of the Spirit of ‘76” as Nixon’s plane arrives on stage, followed by the lyrical dialogue “Your flight was smooth, I hope” and then Nixon’s aria “News has a kind of mystery.” If anything was needed to prove that opera is alive and well – and coping with the events of our own lives, this is it. Each of the operas addressed the particular times for which it was written – in terms of social demands, prevailing taste and ideas about art, and the ways in music itself had developed. In each case, we need to understand what those contemporary issues were so that we can be as prepared to receive as the performers to give. Unless we do this so much of the repertoire will remain closed to us and we will be not opera lovers engaged in the full range of this marvellous art form, but enjoyers of a narrow repertoire that merely suits our own prejudices and restricted taste. We will never grow. Opera is designed to help the opera-lover and student of opera to see how that preparation can be approached so that we can open ourselves to the widest possible range of operatic experience and allow it to enter and illuminate our lives.